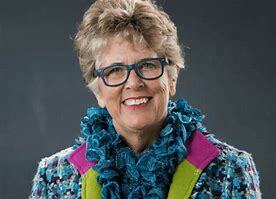 The Great British Bake Off judge, Prue Leigh, has always been highly respected in the world of prestigious cookery. She was one of the 'experts' on BBC MasterChef, when my wife was one of the finalists in 1992, so we have a familiarity with the 78 year old Prue, that goes back some years. However, has the septuagenarian finally lost her mind? Prue has suggested a rather unusual new superfood to add to your pantry - insects! I can see it now - Prue and Paul judging the 'beetle drizzle cake' or the 'ant and spider pie', while Sandi and Noel encourage the Bake Off contestants to add a little more caterpillar skin to their 'Woodlice Bread Rolls'. In a presentation at the Alderburgh Food and Wine Festival in Suffolk last week, Leigh insisted that the next big food trend would be insects, and she championed their nutritional value and sustainability. She claimed that insects can be delicious, are easy to farm (hardly the need for 100 acres! ), ecologically sound and could feed the world. The Bake Off judge tried them first of all when in South Africa, where she says she ate a mopone worm. 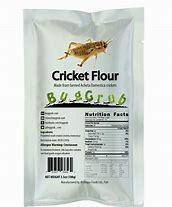 Insects deep fried or crisped in the oven or dried out are absolutely delicious, she claims. Prue went on to champion the flavour of crickets - advocating the purchase of cricket flour, which is high in protein and now available in most good 'insect food stores' (my words not hers!). But is available on Amazon. Sadly, she is not the first chef to recommend bugs to the gullible public. Heston Blumenthal has fried grasshoppers and cooked woodlice on toast. So what's new? Whether insects 'take-off' or not in the trendy restaurants of the Capital, will be seen in the months and years to come, but you can bet Prue and her new partner have already invested in an insect farm in Sussex and put the Leigh name to a cricket flour about to be launched by Waitrose. Pass me a slice of that cheese and ladybird quiche!